Don't miss out on recreational opportunities including an outdoor pool and a fitness center. Additional features at this hotel include complimentary wireless Internet access, barbecue grills, and a vending machine. Take advantage of recreation opportunities such as an outdoor pool, or other amenities including complimentary wireless Internet access and gift shops/newsstands. This hotel also features a hair salon, a television in a common area, and complimentary use of a nearby fitness facility. Whether you’re here for work or the breezy beaches, you’ll love your stay at Hampton Inn Fort Lauderdale Pompano Beach. Set off US 1, our modern hotel is 10 minutes from the Cypress Creek Business District and 2 miles from Pompano beaches. See shows at the Pompano Beach Amphitheater, learn to scuba dive at the South Florida Diving Headquarters, or check out the Isle Casino Racing Pompano Park. I-95 and the A1A coastline highway are nearby, and we’re within 45 minutes of Fort Lauderdale, Palm Beach and Miami airports.Every contemporary guest room has a 42-inch HDTV, premium cable, a mini-fridge, microwave, coffeemaker and work desk. Enjoy free WiFi for all your devices, and get a great night’s sleep on the clean and fresh Hampton bed®. We also offer larger guest rooms with sofa beds and connecting rooms – great for families.Start each morning with a free hot breakfast of fresh-baked waffles, bacon, eggs, oatmeal, fruit and other favorites. In a hurry? Grab a free Hampton On the Run® breakfast bag on your way out the door. Our lobby convenience shop is always open, and we’re happy to recommend area restaurants.Swim in our heated outdoor pool, work out in the 24-hour fitness center, or curl up and relax on the outdoor patio. Along with a 24-hour business center, we have 690 sq. ft. of event space with available A/V equipment that’s perfect for corporate meetings or family celebrations. Make yourself at home in one of the 30 individually decorated guestrooms, featuring refrigerators and microwaves. Complimentary wireless Internet access keeps you connected, and satellite programming is available for your entertainment. Bathrooms have bathtubs or showers and complimentary toiletries. Conveniences include coffee/tea makers and irons/ironing boards, and housekeeping is provided daily. Enjoy American cuisine at Ocean Grill, a beachfront restaurant where you can enjoy drinks at the bar, take in the garden view, and even dine alfresco. You can also stay in and take advantage of the room service (during limited hours). Wrap up your day with a drink at the poolside bar. Cooked-to-order breakfasts are available daily from 7 AM to 11 AM for a fee. With a stay at Surfsider Resort in Pompano Beach, you'll be by the ocean, within a 10-minute drive of Fort Lauderdale Beach and Pompano Municipal Pier. This hotel is 7.5 mi (12 km) from Las Olas Beach and 7.9 mi (12.7 km) from Fort Lauderdale Beach Park. Featured amenities include a 24-hour business center, express check-out, and dry cleaning/laundry services. Planning an event in Pompano Beach? This aparthotel has facilities measuring 1000 square feet (93 square meters), including a meeting room. When you stay at Fort Lauderdale Marriott Pompano Beach Resort and Spa in Pompano Beach, you'll be on the beach, within a 15-minute drive of Fort Lauderdale Beach and Deerfield Beach Pier. This 4-star hotel is 9 mi (14.5 km) from Las Olas Beach and 9.1 mi (14.6 km) from Seminole Casino Coconut Creek. With a stay at Wyndham Sea Gardens in Pompano Beach, you'll be on the beach, within a 15-minute drive of Fort Lauderdale Beach and Pompano Municipal Pier. This beach condominium resort is 8.6 mi (13.8 km) from Las Olas Beach and 9 mi (14.4 km) from Fort Lauderdale Beach Park. 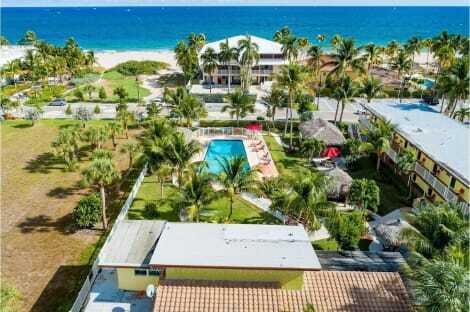 lastminute.com has a fantastic range of hotels in Pompano Beach, with everything from cheap hotels to luxurious five star accommodation available. 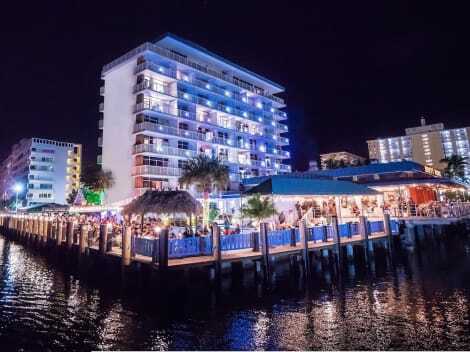 We like to live up to our last minute name so remember you can book any one of our excellent Pompano Beach hotels up until midnight and stay the same night.